Famous as the island which Napoleon was exiled upon in 1814, Elba offers a kaleidoscope of attractions for those who enjoy luxury camping. Please contact Lux-Camp for more details in regards to the holiday camping sites found here. Why Should I Select a Luxury Camping Site in Elba? A stunning array of natural beauty. Some of the best luxury camping sites in the world. An agreeable climate throughout the year. Elba is one of a series of islands in an archipelago located off of the Italian coast. 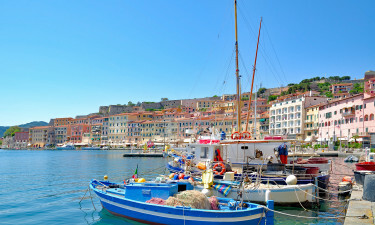 Its countless beaches have been famous for centuries while quaint market towns provide a welcome relief from the hustle and bustle of everyday life. As Elba has been inhabited since Roman times, it is also known for its eclectic and diverse history. 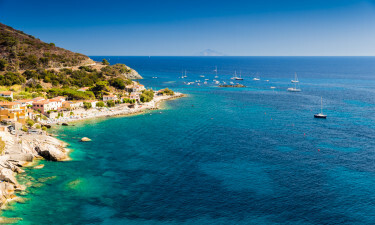 Boasting well over 100 beaches, Elba is the perfect retreat for those who enjoy fun in the sun. Procchio, Bidola and Capo Sant'Andrea are a few of the most popular. A large natural park is located within the centre of the island. This can be visited on a daily basis. There are also many different hiking and bicycle trails which can be used to explore the amazing flora and fauna here. 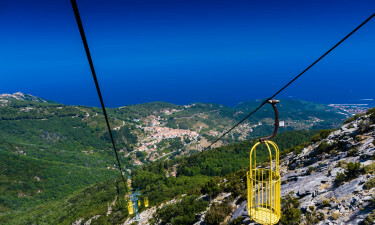 Smaller villages such as Capoliveri and Portoferraio offer some truly unique shopping experiences. San Piero and Sant'Ilario likewise provide splendid glimpses into the historic nature of this island. Of course, the amazing beaches should always be mentioned. Those who enjoy diving and sailing will be pleased at the plethora of activities to be experienced. Local Elba wines are said to be some of the tastiest in all of Italy while the Mediterranean-style food is unforgettable. Fresh fish, pasta and cheeses tend to dominate the menus. The locals are very friendly and quite happy to cater to the needs of tourists although they may appear a bit reserved at first glance.